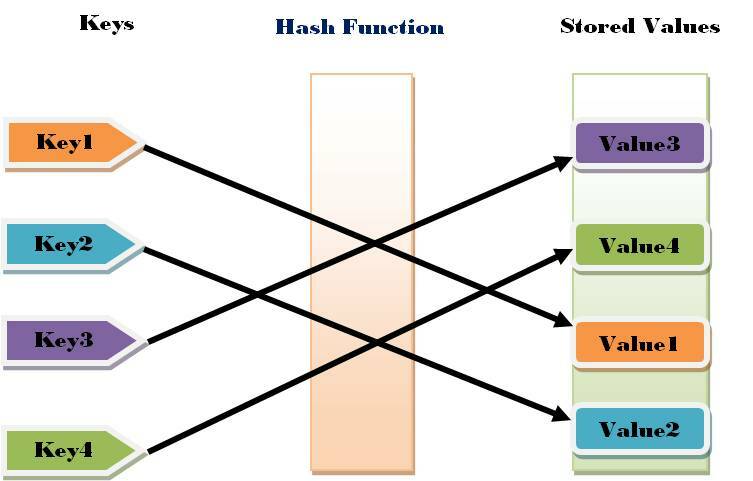 DHT(Distributed Hash Table) is one of the fundamental algorithms used in distributed scalable systems; it is used in web caching, P2P systems, distributed file systems etc. First step in understanding DHT is Hash Tables. Hash tables need key, value and a hash function, where hash function maps the key to a location where the value is stored. Python’s dictionary data type is implemented using hashing, see the example below. If we have a perfect hash function we will get an O (1) performance i.e. constant time performance out of hash table while searching for a (key, value) pair, this is because hash function distributes the keys evenly across the table. One of the problem with hashing is it requires lot of memory (or space) to accommodate the entire table, even if most of the table is empty we need to allocate memory for entire table, so there is waste of memory most of the time. This is called as time-space tradeoff, hashing gives best time for search at the expense of memory. When we want to accommodate large number of keys (millions and millions, say for the case of a cloud storage system), we will have to divide keys in to subsets, and map those subsets of keys to a bucket, each bucket can reside in a separate machine/node. You can assume bucket as a separate hash table. Using buckets to distribute the (key, value) pair is called DHT. A simple scheme to implement DHT is by using modulus operation on key i.e. your hash function is key mod n, where n is the number of buckets you have. If you have 6 buckets then, key = 1 will go to bucket 1 since key % 6 = 1, key=2 will go to bucket 2 since key % 6 = 2 and so on. We will need a second hashing to find the actual (key, value) pair inside a particular bucket. 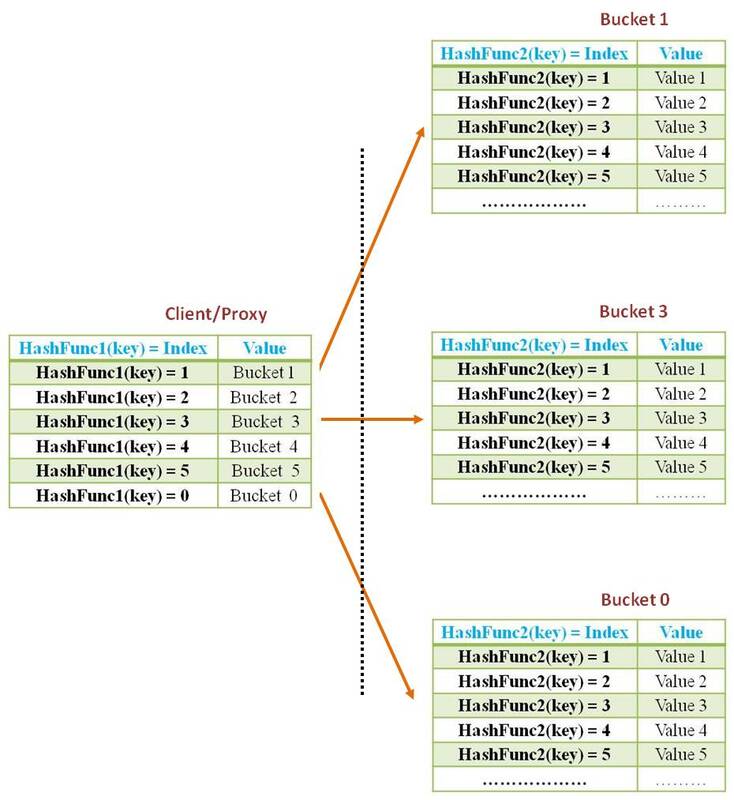 We can use two dictionaries to visualize DHT; here each row in Client/Proxy dictionary is equivalent to a bucket in DHT. This scheme will work perfectly fine as long as we don’t change the number of buckets. This scheme starts to fail when we add/remove buckets to/from the system. Lets add one more bucket to the system, the number of buckets is now equal to seven, i.e. n=7. The key = 7 which was previously mapped to bucket 1 now map to bucket 0 since key % 7 is equal to 0. In order to make it still work we need to move the data between buckets, which is going to be expensive in this hashing scheme. So we need a scheme to reduce the number of keys moving to a different bucket, consistent hashing is a scheme for the same. 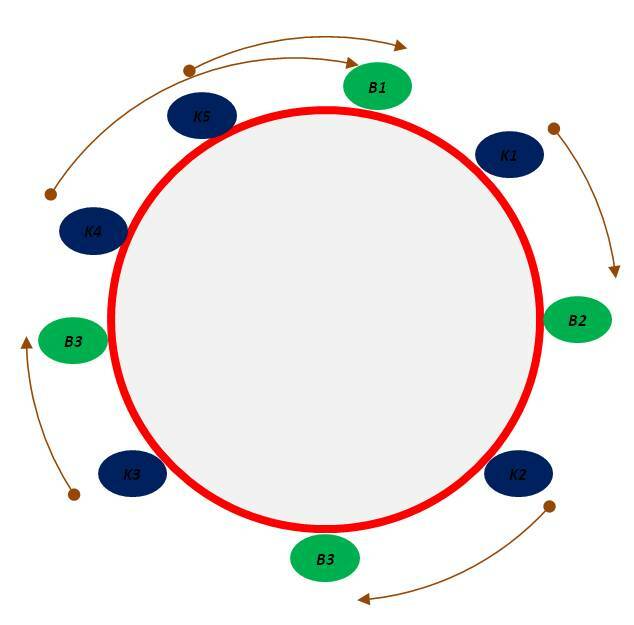 A ring is the core of consistent hashing; first we hash the bucket IDs to points on ring. Then we hash the keys to ring, the resulting ring will look like below. 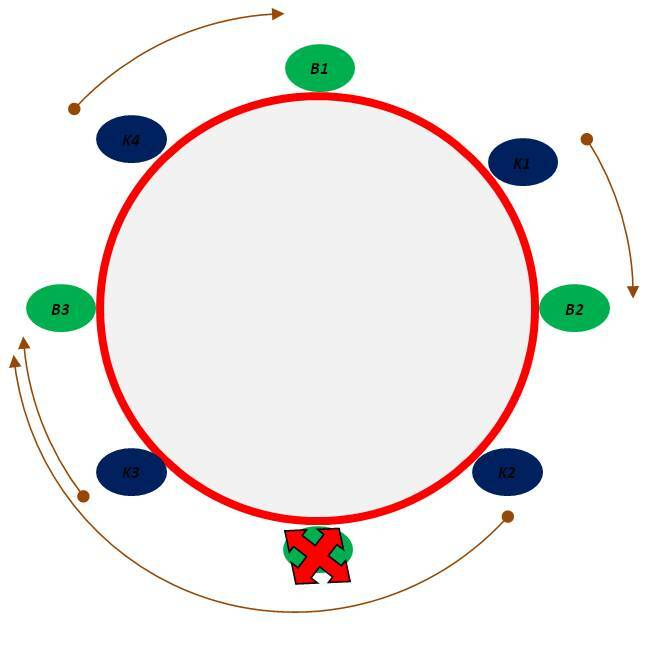 So if we want to find the bucket which stores the value corresponding to a key, we first need to hash the key to a point in that ring and then we need to search in the clockwise direction in the ring to find the first bucket in that ring, that bucket will be the one storing the value corresponding to the key. For key K1 value will be stored in bucket B2, for key K2 value will be stored in bucket B3 and so on. Hashing is working fine with this scheme, but we introduced this scheme to handle addition/removal of buckets, let see how it handles this, this is explained in below picture. 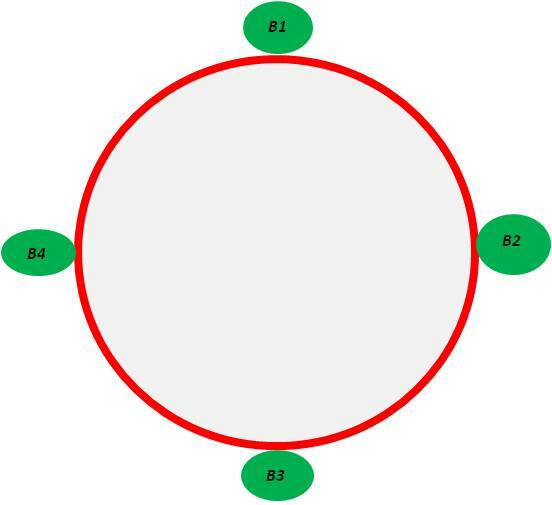 So if we are removing bucket B3, key K2 seems to have a problem, let’s see how consistent hashing solves this problem, key K2 still hash to the same point in circle, while searching in the clockwise direction it sees no bucket called B3, so searches past B3 in clockwise direction and it will find bucket B4, where value corresponding to key K2 is stored. For other keys there is no problem, all remains same, key K4 in bucket B1, key K1 in bucket B2 etc. So we need to move only the contents of removed bucket to the clockwise adjacent bucket. Let’s see what will happen if we add a bucket, see a slightly modified diagram below. The additional key K5 is mapped to B1, so we have both keys K4 and K5 mapping to bucket B1, like bucket removal scenario where keys K2 and K3 maps to bucket B4 after removal. So by introducing consistent hashing we reduced the fraction of keys which we need to move, from n/(n+1) to 1/(n+1), which is significant. 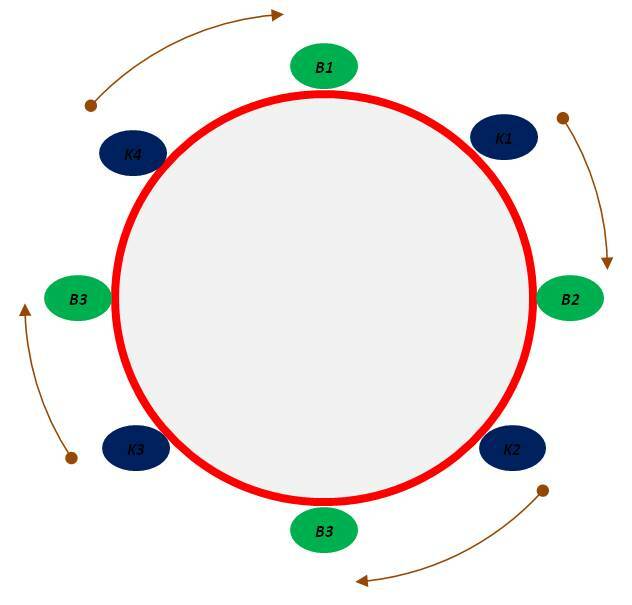 There is lot of details to consistent hashing, which is not covered in this. 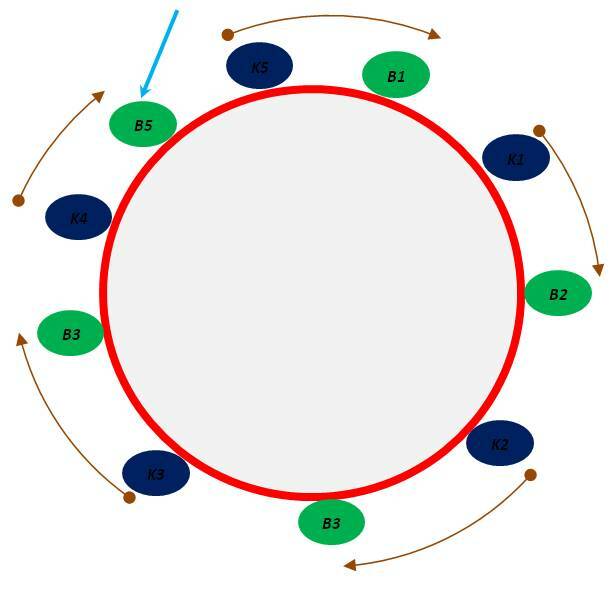 Consistent hashing has a great role in distributed systems like DNS, P2P, distributed storage, and web caching systems etc, OpenStack Swift Storage and Memcached are open source projects which use this to achieve scalability and Availability.